Martha McSally speaking with supporters at the announcement of her U.S. Senate campaign at the Swift Aviation Hangar in Phoenix, Arizona. 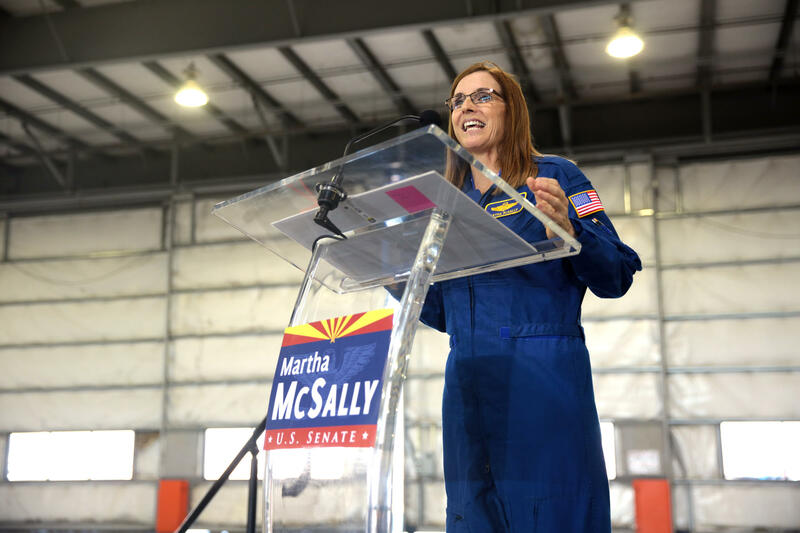 Arizona Sen. Martha McSally, the first female fighter pilot to fly in combat, said today that she was raped in the Air Force by a superior officer. The Republican, a 26-year military veteran, made the disclosure at a Senate hearing on the armed services' efforts to prevent sexual assaults and improve the response when they occur.